Every PC deserves dedicated graphics. Bring your multimedia performance to life with this fanless NVIDIA GeForce GT 1030 graphics card. Accelerate your entire PC experience with the fast, powerful ASUS GeForce GT 1030 Passive graphics card. Its award winning NVIDIA Pascal architecture, powerful graphics engine, and state-of-the-art technologies give you the performance upgrade you need to drive today's most demanding PC applications. Unleash your creativity with stunning HD video and picture editing and enjoy incredible gaming. Now, you can do it all 2X faster than with Intel Core i5 integrated graphics. You can even get easy driver updates and one-click game optimisation with GeForce Experience. 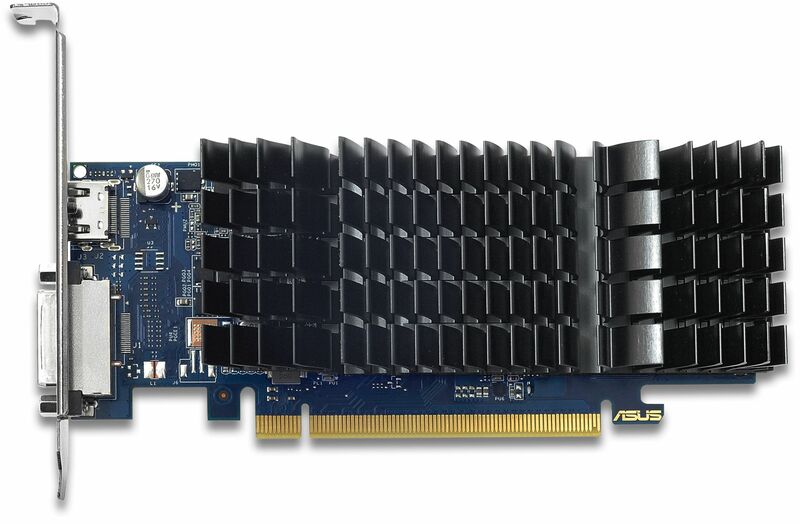 Exclusive ASUS-designed heatsink with large surface area effectively cools the graphics card passively so absolutely no sound is produced while running – perfect for high-definition and silent home theatre PCs and multimedia centers. ASUS gets the graphics card design done right for HTPC and multimedia use with its narrow & compact form factor. 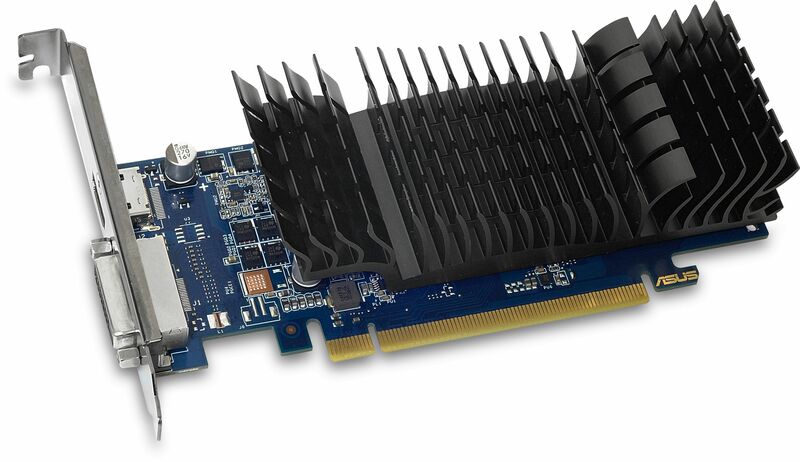 The card is designed to easily run current game titles at 1920x1200 resolution and play smooth Blu-ray 3D content. An industry-only, 100% automated production process that incorporates Super Alloy Power II components for premium quality and best reliability. With an intuitive new UI, GPU Tweak II makes overclocking easier than ever, featuring gaming booster to maximise graphics performance, and Xsplit Gamecaster to stream or record your gameplay.